We just recently purchased IDAutomation. 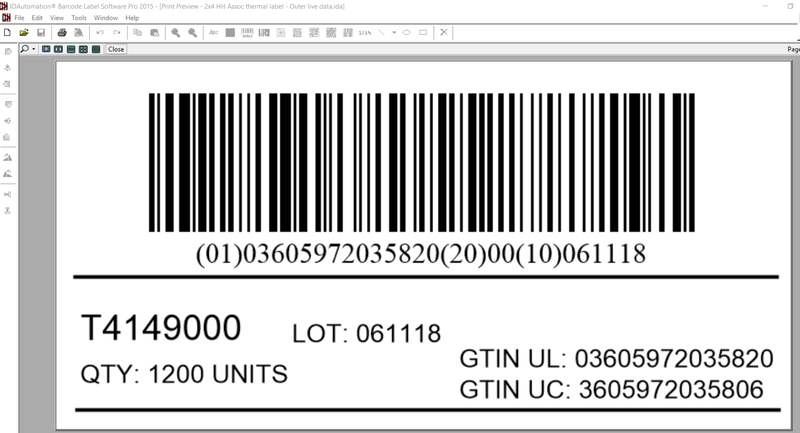 The text boxes and barcode fields in the design view appear off by approximately 0.75" vertically and horizontally. I have to setup the design in what appears as though the fields are off the label, and when I preview and print they are fine. Not really WYSIWYG. IDAutomation version: 2015 (2015.06.16) running on Windows 10. Check to see if your printer is using margins. I downloaded your example and also had the same issue, even with a new label. I checked the printer settings (outside of the software) and I believe you must check the margins. I also tested with another printer that did not have margins set, and the label was okay. In Windows 10 display settings, there is a setting for scaling. Check to make sure it is set to 100% and not another value such as 125%. 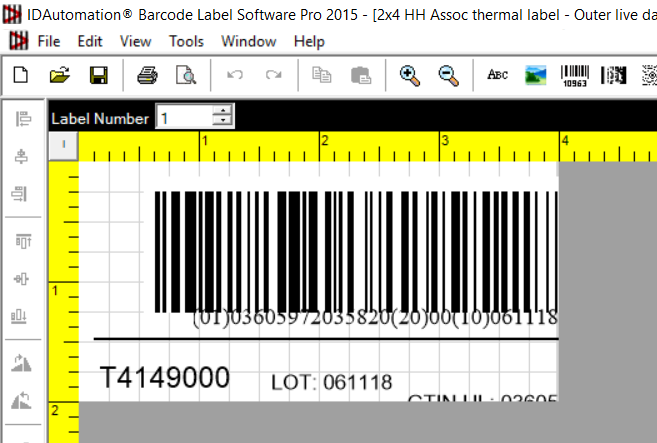 Once it is set to 100%, the Barcode Label Software should be okay.